Give your dining room a beach update with the Blue & White Jardine Sugar Pot. 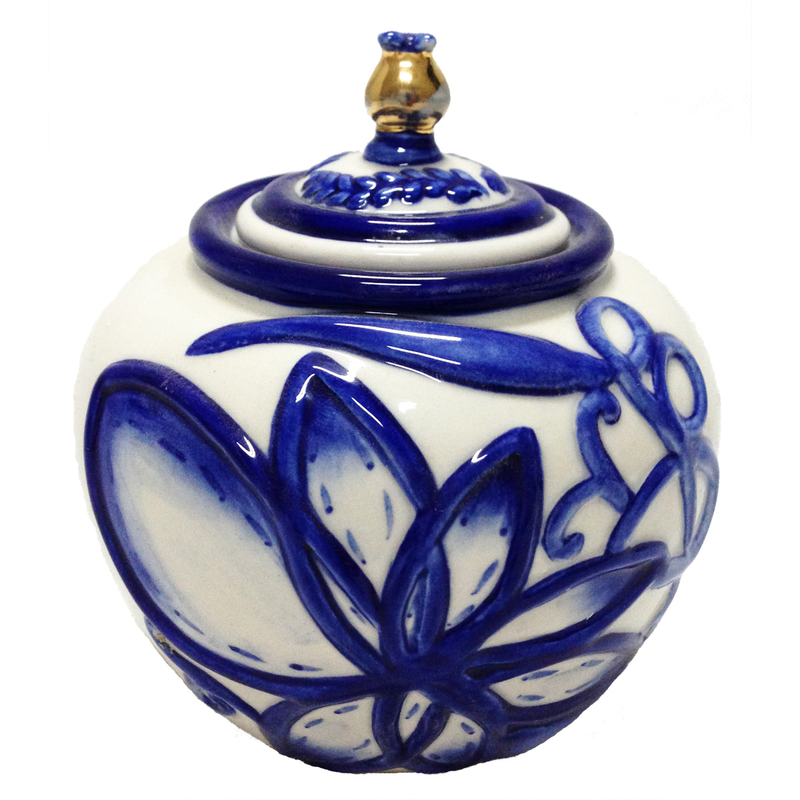 Crafted with a pretty blue and white floral motif, this sugar pot makes a beautiful accent. This coastal kitchen decor ships from the manufacturer. Allow 2 weeks. Cannot express ship. For even more pieces, we encourage you to take some time to look through our full assortment of coastal kitcen decor at Bella Coastal Decor today.